In the beginning was the Word, and the Word was with God, and the Word was God.... And the Word became flesh and dwelt among us.... No one has ever seen God; the only God, who is at the Father’s side, he has made him known (John 1:1, 14, 18). 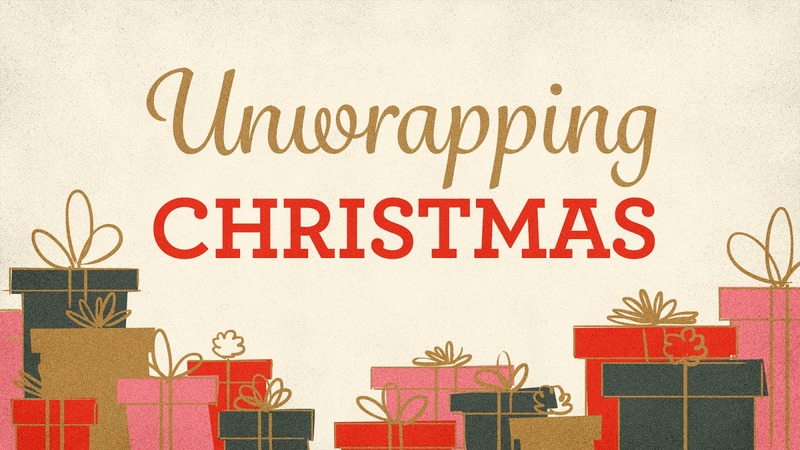 Did you ever receive a surprising Christmas gift? People are often surprised when they learn what the Gospels really say about Jesus. In John 1:1-18, John calls Jesus the “Word,” and he makes three surprising statements about the Word: (1) “the Word was God” (v. 1); (2) “the Word became flesh” (v. 14); (3) “[the Word] has made [God] known” (v. 18). “The really staggering Christian claim is that Jesus of Nazareth was God made man.”  The theological term for the birth of Jesus is the “incarnation”—God became incarnate (i.e., embodied in human flesh). The baby lying in a manger was God in human flesh. On the night of Jesus’ birth, the angel said to the shepherds, “Today in the city of David there has been born for you a Savior, who is Christ the Lord” (Luke 2:11, NASB). Jesus was born for us. It could be said that his birth was the first Christmas gift—God giving himself to us. Now that’s a surprising gift! There is no more important question than the question “Who is Jesus?” If we answer that question incorrectly, we will end up with something less that true Christianity. John writes, “In the beginning was the Word, and the Word was with God, and the Word was God” (v. 1). How could Jesus both be God and be with God? John 1:1 is consistent with the doctrine of the Trinity (i.e., God’s three-in-oneness): there is only one God, but there are three persons who are God (Father, Son, and Holy Spirit). In John 10:30, Jesus declares, “I and the Father are one” (John 10:30). Jesus and the Father are distinct (“I and the Father”), but they are also “one.” His enemies understood what he was claiming (“you, being a man, make yourself God,” John 10:33). One of the heresies of ancient church history was Arianism—named after its originator Arius (c. A.D. 250-336). According to Arianism, Jesus did not always exist and was created by God the Father. But v. 3 clearly refutes Arianism: “All things were made through him, and without him was not any thing made that was made.”  There are no new heresies, just old heresies repackaged. We need to know what the Bible says about Jesus so that we might not be deceived by false teaching (e.g., the false teaching of the Jehovah’s Witnesses  and Mormons). As we express ourselves through words, God expresses himself through the Word. The Word who “was God” (v. 1) “became flesh” (v. 14) and “has made [God] known” (v. 18). Jesus said, “Whoever has seen me has seen the Father” (John 14:9). Jesus was born so that we might know God. To “know” God means more than knowing information about God; it also includes having a friendship with God. In his prayer to the Father, Jesus prayed, “This is eternal life, that they know you the only true God, and Jesus Christ whom you have sent” (John 17:3). Baby Jesus was really God! We should have two responses to this amazing truth. First, we should accept the truth about Jesus, which leads to eternal life. He said, “No one comes to the Father except through me” (John 14:6). Second, we should be filled with wonder, which leads to action. Perhaps you could read an Advent devotional this December. The more we are amazed by the story of the birth of Jesus, the more we will be filled with love for God. And love for God leads to obedience to God. J. I. Packer, Knowing God, 58. Jesus is called the Word partly because God created all things through the power of his word (“And God said,” Gen. 1:1). “Long ago, at many times and in many ways, God spoke to our father by the prophets, but in these last days he has spoken to us by his Son” (Heb. 1:1-2).